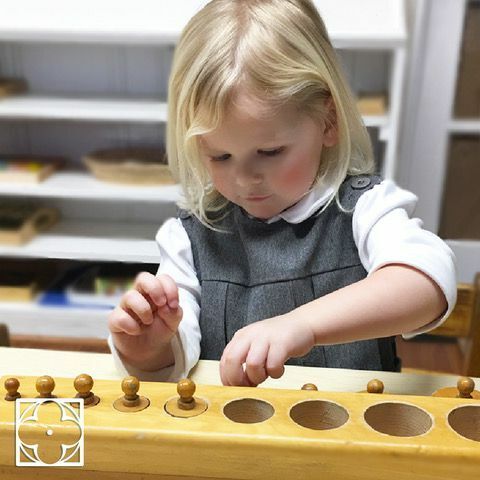 Old Town Montessori School uses a rolling admission process that allows students to join our school as spaces become available throughout the year and applications for our Primary classes (ages 3 to 6) are now being accepted. At Old Town Montessori School we believe that the preschool and kindergarten years are a critical stage of cognitive, social, emotional and physical development, and we are dedicated and committed to the children and to the philosophy of Maria Montessori. Currently in our 31st year, we have consistently produced highly confident, self-motivated learners, who are well prepared for their elementary school years and beyond. Our families attest that they have indeed found a unique environment in Montessori classrooms where lasting values are emphasized, where kids are truly happy. 1. Schedule an observation by contacting our wonderful office administrator, Anastasia Ivanis, at (703 684-7323) or use our online form to make an appointment. At times, it is impossible for the Old Town Montessori School to accept every student who applies because of limitations of space. Our waitlist is organized on a first come basis and we offer preference to those students who already have siblings attending our school and also to students with previous Montessori experience. The following guidelines are established to provide the admissions office with parameters for accepting students to Old Town Montessori School. All guidelines should be consistent with the Old Town Montessori School's Mission. Dear Parents, thank you for your interest in the Old Town Montessori School. We invite you to become a part of our wonderful Old Town Family and hope to see you soon!